Asthma is the leading reason children are hospitalized. Visits to emergency rooms, missed school, and missed work for the parents are further results of this common disorder. Recognizing the problem, guidelines were published by an Expert Panel of the National Institutes of Health, first in 1991 and then updated several times since. The most recent published guideline is over 400 pages. While well intentioned, the detailed recommendations for care of asthma in these guidelines have had little overall effect on the frequency with which children go to emergency rooms or are hospitalized because of asthma (Fig. 1). Despite the current lack of overall benefit for asthma in children, specialized care has provided considerable benefit for those children who receive such care. An example is a publication in a prominent medical journal that describes a study at a children’s hospital in Norfolk Virginia. Eighty children were assigned to either specialty clinics or continued with general pediatric care at that institution. The assignment was random so that similar children were receiving specialty care or general care. During the following year, those receiving specialty care had half the number of emergency care visits and 1/3 the number of hospitalizations as those continuing to receive general care. Other studies have shown similar or better results when specialty care is compared with general care for both children and adults with asthma. Why does specialty care provide better results than general care despite the detailed guidelines provided by the Expert Panel? There are several reasons. Asthma is complex. It is not the same in all who have it. There are differences in severity, but also differences in type of asthma. A complex medical disorder takes time and specialized knowledge for the physician. For asthma, the prescribing physician needs to be familiar with the various medications and special devices needed to deliver medicine to the lungs. Educating the patient and family also takes time and experience. Physicians learn from experience and practice. Specialists acquire additional experience in their training and therefore have greater knowledge of diseases they study. Generalists acquire extensive experience and knowledge of many medical problems that occur among those they treat. But most general physicians, such as general pediatricians and family physicians did not study asthma in depth during their training years. Complex published guidelines are not an adequate substitute for experience and specialized knowledge. Specialists who care for asthma, on the other hand, spend 2-3 years beyond general training learning about asthma and related problems. Greater experience spent in training of a physician means greater knowledge and greater ability to evaluate and treat a complex disorder such as asthma. But why do the guidelines hinder rather than help? After all, the information in the guidelines is carefully considered by a panel of experts for the purpose of helping, not hindering. These experts spent considerable time and effort to provide a document that could guide general physicians in the care of their patients with asthma. The hindrance caused by the guidelines for asthma is the unrealistic expectation that they would enable general physicians to apply the knowledge and recommendations of experts. But asthma is a highly variable and complicated disease. 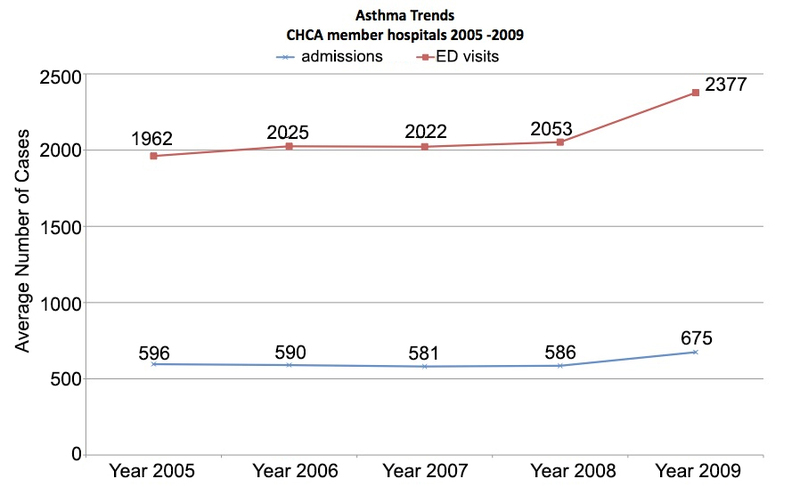 While many patients never require emergency care or hospitalization and are adequately cared for by general physicians, twenty five years of guidelines have not resulted in decreases in emergency care and hospitalization for children with more severe asthma. Instead of encouraging busy generalists to follow complex guidelines for children at risk for emergency care and hospitalizations, development of specialized programs is needed for such children. Why Clinical Practice Guidelines Hinder Rather Than Help.